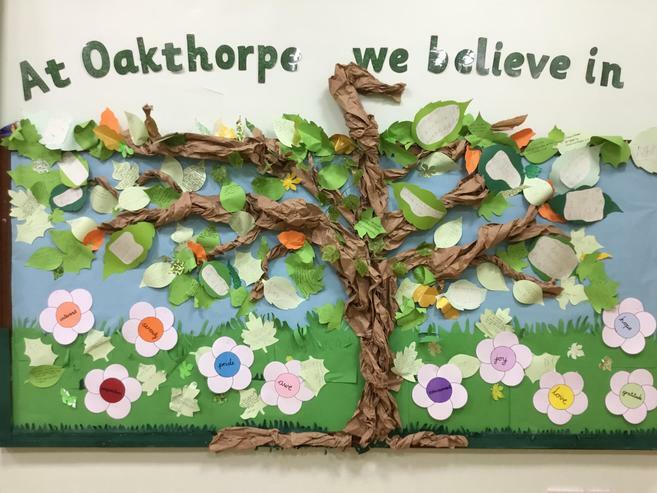 The curriculum at Oakthorpe is carefully designed to ensure there are a number of opportunities to promote and embed mental health and wellbeing strategies. Across the school, in every year group, there is a significant emphasis on the pupil voice to develop their own understanding of themselves as learners. For the past two years, the school has a curriculum driver around Mindset which encompasses positive attitudes to learning. This is planned across the school's curriculum with clear posters in every room highlighting what it means to have a positive mindset and how we can use positive emotions across our learning. It was identified by talking to pupils in the character council last year, that positivity was a term that was used a lot but there needed to a better understanding of what this meant. Working with Worth-it and exploring Positive Psychology helped us to embed positive emotions across the school. These are displayed in the hall and every classroom. Also the children can nominate their peers that are spotted using these positive emotions. This has impacted on the children understanding what this means. There is always an emphasis on what we find out from pupil questionnaires to help us to plan appropriate activities to respond to the needs of the pupils. For example, last year as part of the project with Worth-it, the school completed a survey with a slant on positivity. The results show that there were a number of pupils who did not have a positive outlook on life. 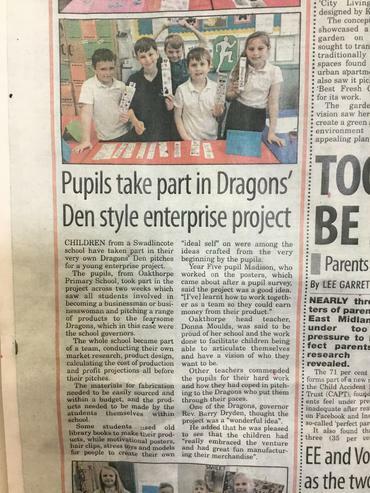 As a result, the children decided to use the Enterprise week that had been planned to create items to sell that would help customers to have a greater positive outlook. For example, they sold positive posters, stress balls and positive bookmarks. 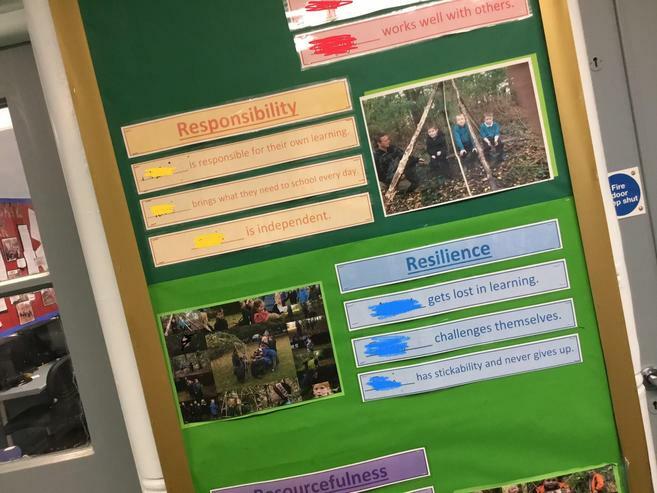 This learning was explicitly designed by teachers but as can be seen from the photo of the local newspaper article the children were very confident to talk about the link they have made with pupil questionnaire results. The school organises the curriculum around a number of themed weeks across the year that have an emphasis on positive emotions and positive mindsets. This year, this has included a healthy body-healthy mind week where children were exploring their positive mindsets with science theme. It was also the same week as the Place To Be National Children's mental health week. We have an annual Mastering Me Week where children have a chance to explore themselves as learners and draw their Ideal Selves. These Ideal Selves developed from Boyatsis' Theory of Self-directed learning which is often used to coach adults. 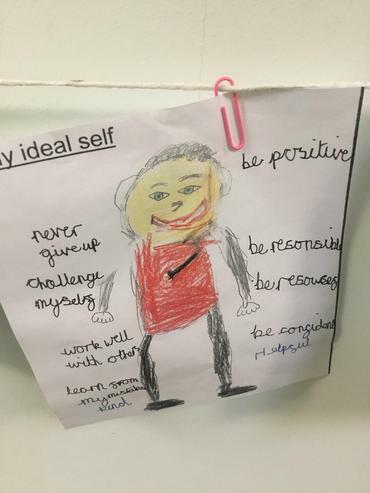 However, for the last 4 years, children have drawn their Ideal Selves which gives them a chance to verbalise how they personally want to improve themselves as a person. After analysis of how these could further be embedded into the work of the school, senior leaders have encouraged parents to engage with these this year and during each parents' evening, they have had chance to discuss Ideal Selves during the interviews.